(VG/SZA) (San Salvador) 1960 - 1988. Photos. Framable Color Prints and Posters. Digital Sharp Images. Aviation Gifts. Slide Shows. 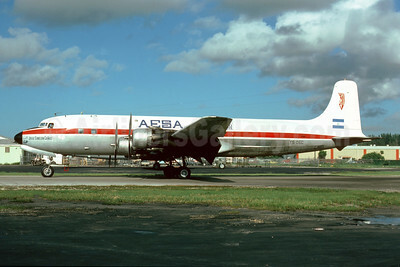 AESA (Aerolineas El Salvador) Douglas DC-6 (F) YS-03C (msn 43058) MIA (Bruce Drum). Image: 104110. 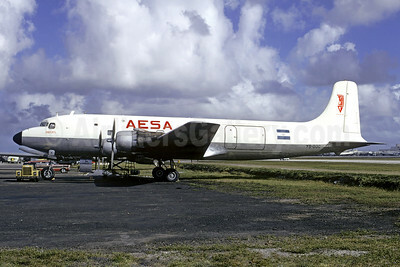 AESA - Aerolineas El Salvador Douglas DC-6B (F) YS-05C (msn 45537) MIA (Bruce Drum). Image: 103560. Named "Ural. 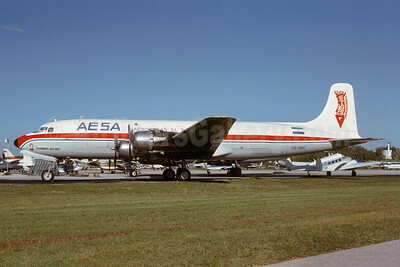 Manuel Jose Arce"
AESA - Aerolineas El Salvador Douglas DC-6B (F) YS-39C (msn 45217) MIA (Bruce Drum). Image: 103561.